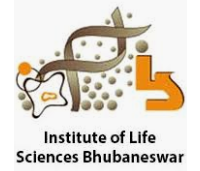 Institute of Life Sciences (ILS), Bhubaneswar, an autonomous institute of the Department of Biotechnology, Ministry of Science & Technology, Government of India invites applications from Indian Nationals for the Research Associate position. Experience in mammalian cell culture, molecular biology, and cell biology techniques are required. Candidates having experience in handling mice and candidates having first author publication in the peer-reviewed journal in the above subject areas will be given preference during the screening stage. Candidates who have submitted Ph.D. thesis and are waiting for viva voce may also apply. For such candidates, the fellowship amount will be that of an SRF until he/she defends Ph.D. thesis. et al., 2019, Molecular Cell) for details of the work area. Super-scribe the envelope with “Application for the position of Research Associate-Autophagy”. The initial appointment will be for one year. No TA/DA will be paid for attending the interview. Last date for receiving an application: 02.05.2019. Date of display of shortlisted candidates: 03.05.2019. Date & time of interview: 18.05.2019. Phone: 91 – 674 – 2304283, 2301476.